When Edmund Hillary first conquered Mt. Everest, Sherpa Tenzing Norgay was at his side. Indeed, for as long as Westerners have been climbing the Himalaya, Sherpas have been the unsung heroes in the background. In August 2008, when eleven climbers lost their lives on K2, the world’s most dangerous peak, two Sherpas survived. They had emerged from poverty and political turmoil to become two of the most skillful mountaineers on earth. Based on unprecedented access and interviews, Buried in the Sky reveals their astonishing story for the first time. 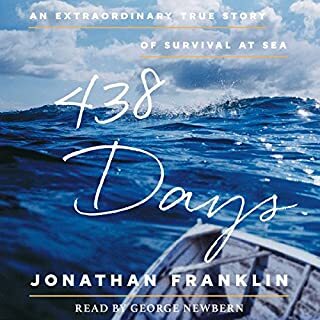 438 Days is the miraculous account of the man who survived alone and adrift at sea longer than anyone in recorded history - as told to journalist Jonathan Franklin in dozens of exclusive interviews. The shark attacked while she was snorkeling, tearing through Micki Glenn’s breast and shredding her right arm. Her husband, a surgeon, saved her life on the spot, but when she was safely home she couldn’t just go on with her life. She had entered an even more profound survival journey: the aftermath. The survival experience changes everything because it invalidates all your previous adaptations, and the old rules don’t apply. In some cases survivors suffer more in the aftermath than they did during the actual crisis. In all cases, they have to work hard to reinvent themselves. 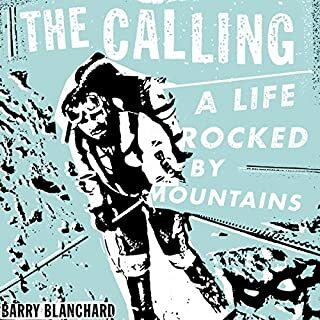 With heart-pounding descriptions of avalanches and treacherous ascents, Barry Blanchard chronicles his transformation from a poor Native American/white kid from the wrong side of the tracks to one of the most respected alpinists in the world. At 13 he learned to rappel when he joined the 1292 Lord Strathcone's Horse Army Cadets. 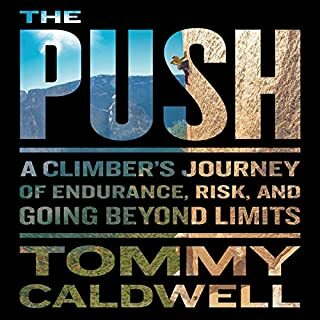 Soon kicked out for insubordination, he was already hooked on climbing and saw alpinism as a way to make his single mother proud and end his family's cycle of poverty. The untold story of Leon Crane, the only surviving crew member of a World War II B-24 crash on a remote mountain near the Arctic Circle, who managed to stay alive 81 days in sub-zero temperature by making peace with nature, and end his ordeal by walking along a river to safety. 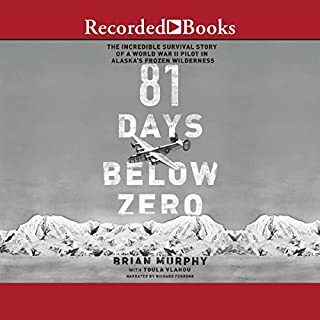 Part World War II story, part Alaskan adventure story, part survival story, and even part inspirational story, this is what we call " a good listen". Joe Simpson, with just his partner, Simon Yates, tackled the unclimbed West Face of the remote 21,000-foot Siula Grande in the Peruvian Andes in June of 1995. But before they reached the summit, disaster struck. 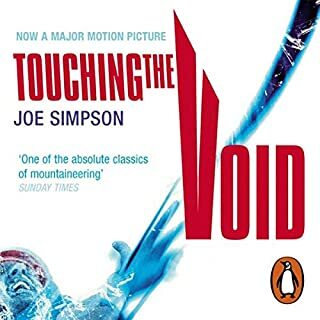 A few days later, Simon staggered into Base Camp, exhausted and frostbitten, to tell their non-climbing companion that Joe was dead. For three days he wrestled with guilt as they prepared to return home. Then a cry in the night took them out with torches, where they found Joe, badly injured. Amazing, wish I knew more. After her plane crashes, a 17-year-old girl spends 11 days walking through the Peruvian jungle. Against all odds, with no food, shelter, or equipment, she gets out. A better equipped group of adult survivors of the same crash sits down and dies. What makes the difference? 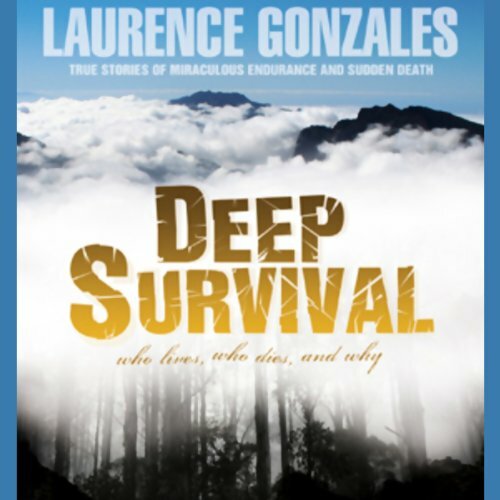 Examining such stories of miraculous endurance and tragic death, Deep Survival takes us from the tops of snowy mountains and the depths of oceans to the workings of the brain that control our behavior. 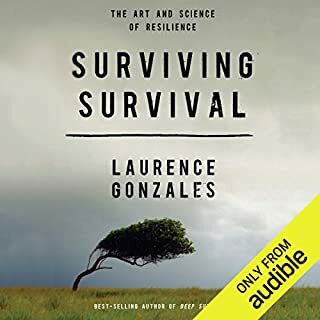 Through close analysis of case studies, Laurence Gonzales describes the essence of a survivor and offers 12 "Rules of Survival". In the end, he finds, it is what's in your heart, not what's in your pack, that separates the living from the dead. 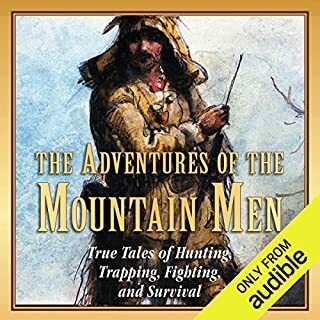 This audiobook will change the way we understand ourselves and the great outdoors. great balance between theory and stories, love it. Good and engaging read overall. Got a bit lengthy and repetitive towards the end of the book. Didn't provide much practical tips other than a short summary at the end. this book is unbelievably relatable to anyone who spends time Outdoors. I've never had a book that I needed to listen to in the car and then would run home pick up my hard copy and reread anything I just listened to. sometimes even then relistening to entire chapters. 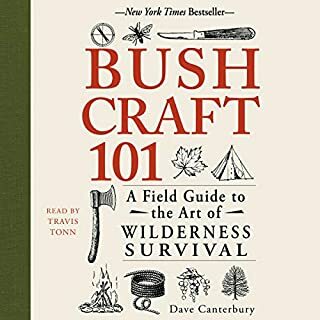 I will take so much of this book with me every time I go in the wilderness now. Fascinating 1st Half, Cynical 2nd Half. This book was fascinating to me, but I have to be honest, the conclusion of the book made me regret spending time reading it. 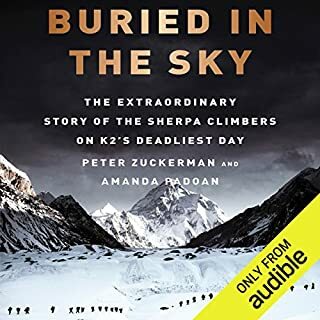 I expected this book to be stories of survival and then after recounting the story, the author would explain why that person survived, why they didn't, or what they could do better. In reality, this book is much more physiological and scientific. Many of the chapters speak about the physiology of the brain and what occurs during stressed situations. How parts of your brain shut down and others engage. If you enjoy science, this will fascinate you. 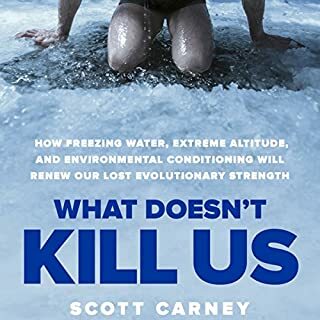 No other survival book has spoke so much about the physiological and psychological effects of survival and more importantly, how to train your brain to be better in survival situations. 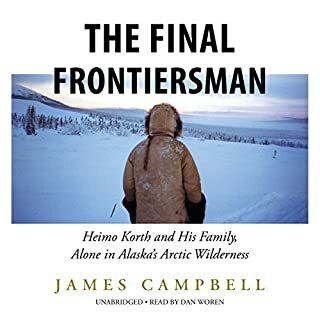 I like that the book focuses that survival is more than wilderness survival. It can be survival during financial troubles, business troubles, divorce, and death of others. One of the essences of the book the author repeats, is that in survival situations you will do things that make no sense, things you would never do if you were at home, you make clearly stupid decisions. When you are in a survival situation you have little control over what happens, your brain owns you and very likely might make decisions which will kill you. After all the brain (as the author explains) is not designed to work in a way of your personal self-interest, but to benefit the future-interest of the species in general and future evolution. There is incredible supporting evidence to this theory as explained throughout the book. The author is also a very strong believer in other (semi-controversial) scientific theories such as "Chaos Theory", "Complexity Theory", and "Normal Accident Theory". The first two thirds of the book was really interesting, but the last third was only mediocre. I feel like the book was clearly written at two time periods of the authors life. The first 2/3 of the book is very clear and concise. It is like the author has discovered the secret to survival and wants to share it with you, with enthusiasm. It sounds like a young man, optimistic that he has discovered the fountain of youth. The last 1/3 is incredible cynical, you can hear the sadness in the author's voice. It's like the author wrote the first part, then it sat on a shelf for 20 years, and later he decided to finish it. During that lapse in time he discovered that there really is no secret. His pessimism is apparently, and he repeats "Sometimes good survivors die, and bad survivors live, there is a lot of luck involved." The last third of the book is also much less organized and thought-through. It is jumbled together in large chapters that don't have a good sense of separation, leading to my idea that they are essentially ramblings. This is in stark contrast to the beginning which is incredibly focused and organized. He continues by telling stories at the end of his pilot buddies who died when they did everything "right" and then how idiots have survived even after clearly making stupid decisions. He repeatedly drives home how unrelentingly un-fair life is. The ending of the book was clearly more personal for him. The stories at the end are all people he knew, compared to beginning of the book were stories of strangers he studied about through accident reports and interviews. The book even ends explaining, "We are all going to f*cking die, either in a plane crash or by cancer, you might as well go out living." Although there is some truth to that, I found it incredibly disappointing conclusion. 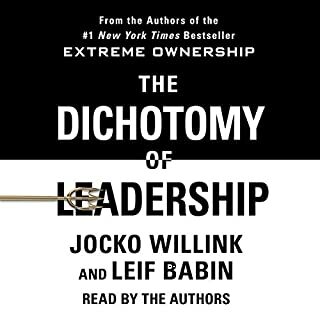 I spent 10 hours listening to this book, and at the end the author makes it sound like it doesn't matter. The end of the book sounded to me, like the endless ramblings of a dying man. It seemed that he implied that he was wrong about what he wrote in the first part. I was really frustrated with that conclusion, after such an amazing composition of stories and data presented at the beginning, we end with a cynical view of hopelessness. The beginning and end of the book are so polar, I can't believe that the publisher published the book in this condition. The Narrator did a great job though. 5 Stars to the Narrator. 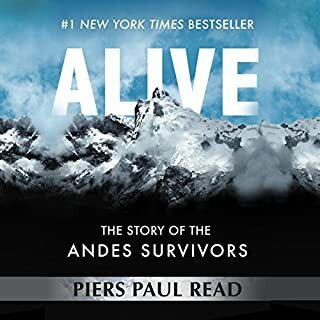 a fascinating book that is at first glance about physical survival, but it can be used as a metaphor for many facets of human experience. I'm in awe of how Gonzales uses information from such diverse sources - yet it all fits so logically. I can't say enough good about this book. It's intelligent, educational, emotional, and entertaining. And finally - the perfect narrator as a bonus. 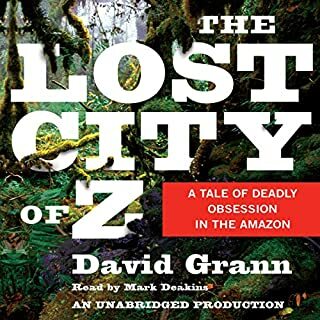 never a dull moment with this audio book, i loved it. as many others have noted, the narrator is very good and never misses a beat. i love all the things others have noted, plus one other thing. this man can write, really write. every sentence in this book is well crafted and exuberant in its choice of words. i will listen to this again and again. thanks to all the other people whose comments made me curious enough to listen to something i might not have ever chosen. I've always been drawn to stories of survival so this book was a natural for me. Gonzales really brings out how we are all in a state of survival. That is in our personal lives, business/work, economic, emotional, .... So it is really wonderful to hear what it takes to come out the other end alive. Add good and appropriate narration and I'm telling all my freinds to get this one. 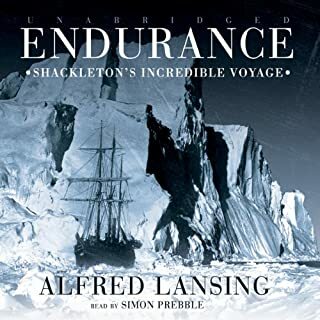 A terrific audio book. 10+ hours, but wish there was more. The true account storytelling dovetailed with the explaination and analysis exposes the roots of survival. Exciting, frightening, and educational, with lessons applicable not only in survival circumstances but everyday life. Read all these thoughtful reviews. I can't remember reading a book that affected me more profoundly. Sure, it is a book about people who are living in survival situations and the reasons why some live to tell the story while others don't. But the in-depth analysis has far-reaching implications that go well beyond the subject matter. Gonzalez is extremely well read and an accomplished writer. His style is breezy and an easy listen even when the subject matter is rather dark. Add to this the fact that many passages are gripping, edge-of-the-seat nail biters, and you have a book difficult to put down and impossible to forget. Take for instance the description, early in the book, of landing a plane on an aircraft carrier. At first it is difficult to understand all of the "pilot-speak" but as the story unfolds and each piece of jargon is explained, you begin to understand just how hair-raising such a feat is, and the internal battle each pilot wrestles with as he obeys his training in spite of the overpowering instincts to do otherwise. Unfortunately, as the author points out, instinct occasionally wins...with tragic results. There are, of course, many other situations examined, each with its own lessons to be learned and its own provacative implications. This book is all about survival, life, the universe, and everything (with profound apologies to Douglas Adams). It is a moving meditation on what it is to be human and applies to all of our existence even though we usually ignore our mortality and the functioning of our minds. The adventures and misadventures Laurence Gonzales chronicles reveal our human condition better than anything I have ever read. This is not a simple adventure book so some may be disappointed. It is so much more. I understand Gonzales has another book along similar lines due out in September of 2008. I hope it come to Audible and I hope that Stefan Rudnicki narrates that one as well. He is brilliant. His narration of "On Intelligence" was excellent - his intelligent speech highlighted that book as well as this. Bravo Gonzales, Rudnicki and Audible - well done. Thank you! 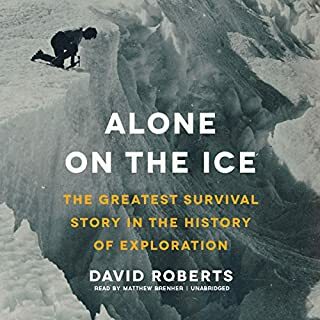 Outstanding, best survival book of its type!! This is a profound look at what a human being goes through in a survival situation. It is not designed to relay the gory details of survivor stories. Instead this book systematically disects and examines the way the human mind functions when it meets with disaster. I have never read a book that better describes and defines the attributes that separate "The Quick From The Dead". Gonzales also did a great job presenting this information in a personal way that keeps the reader on the edge of thier seat. 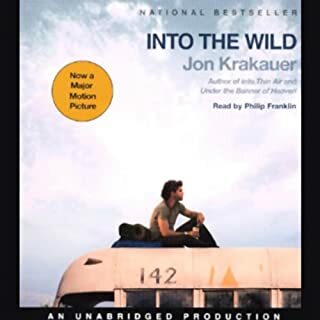 Exellent book for anyone, especially if you ever venture into the wild. This should be required reading for SAR professionals. An absolutely great book. This was my first book into what is referred to as "survival literature." 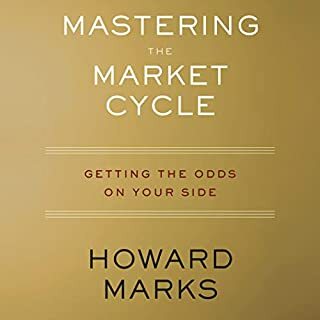 After reading other books in the same genre, I would highly recommend this to anyone as either a primer on the group, and/or a broad, stand alone reference. One thing to watch for, and it's not a critique of the book necessarily, but simply an interesting observation. The author seeks out adventure, always trying to live up to his father's example. Except that his father lived a thousand lives in the service of his country, came home and raised a large family, and carved out an all-American life. The author, in contrast, never served anyone but himself. He went through several marriages, flew for fun not for country, and generally missed the larger point of his father's core example. That of self-sacrifice, not self-aggrandizement. Still a great book, that I gave 5 stars.